recommended for: Fans of Red Rising by Pierce Brown, Ember in the Ashes by Sabaa Tahir, and other brutal, high-concept speculative fiction. I had a few people raving to me about how astounding this one was, and I feared it wouldn't live up to the hype. It surpassed it. 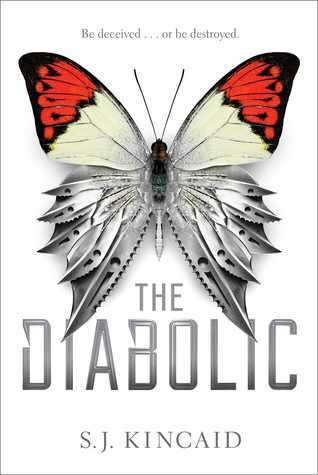 The Diabolic is one of the best science fiction novels I've read since Red Rising--and if you've ever heard me talk, you know I don't say that lightly. Set in a far-future intergalactic empire ruled by a draconian sun religion, it's the story of one genetically engineered human's struggle to protect her most beloved friend--and find herself in the process. I'll get my complaints out of the way first, because you know I have them. Am I alone in being sick of the Roman empire throwbacks? Red Rising got away with it because the comparison was central to the conceit of the empire. Here, like with other sci-fi empires, it's little more than names and titles. They do realize that the empire fell, yes? I'm also a little foggy on some of the technology. Seems hand-wavy. On the other hand, I'm in love with the idea of a society run on machines they have forgotten how to create, because they have rejected science in the name of a fear-mongering religion. Conceptually, it's fascinating. And with that, I'm left to gushing. 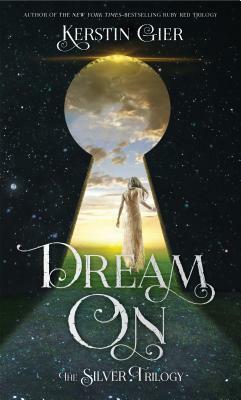 It's an intricate, beautiful, ruthless book, fast-paced and filled with unexpected twists. Kincaid doesn't pull any more punches than her heroine does. You can trust her to break your heart--and a few heads. What else would you expect with a heroine like Nemesis? She's a Diabolic, created to protect one human, her master Sidonia, at all costs. Though sweet Sidonia tries to convince her that she's human too, and valued, Nemesis cares only for Sidonia's life. So when Sidonia is summoned as ransom to the side of a murderous emperor, she gladly goes in her stead. What she finds there is a dazzling game of intrigue. The emperor is a vicious demagogue. There is Elantra, socialite and head of the religious faction that opposes Sidonia's family. Tyrus, the emperor's mad nephew and heir who may be the cleverest of them all. The emperor's mother, a scheming killer. No one can be trusted. No one is safe. I white-knuckled it through page after page, delighted in each new revelation, each shocking surprise. Nemesis is cold and clever. She's not without empathy, but Kincaid doesn't make her secretly soft, either. She's a hard girl in a hard world, and you can't help but cheer for her. And my dear mad Tyrus? Can I ever express how terrifying and wonderful he is? I truly can't emphasize enough how devastating this book is. It's intense. It's a knife to the throat, darkly glamorous, breath-stealing. No one is all good or bad. It's shades of glittering gray. The romance is simultaneously beautiful but toxic. The friendships are uncertain, built on tenuous real feeling but also chemical manipulation. When a girl has been built to love one person, what pieces of herself are really her own? Nemesis will find out, even if it destroys everything around her. And I'll follow her every time into the rabbit hole. Welcome to the darkness, my friends. Let The Diabolic be your guide. The Diabolic is a ruthlessly beautiful story of humanity's darkest and brightest pieces, and a deadly game of intrigue. will i continue the series? Okay I know it's perfect as a standalone, but I really kind of want more because it's so amazing.